It’s great to have this place finally open after a long wait. What a nice surprise to have lunch there last week and find the food very good, service was decent and the atmosphere was quite nice. 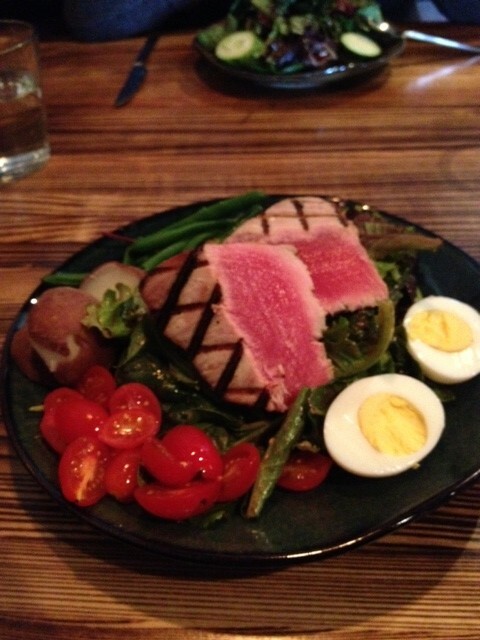 I had their Nicoise salad and it was delicious and a good value at $16 for a large entree salad. I returned a few days later to meet a friend for a glass of wine and enjoyed sitting at the bar. My only comment is I wish they would lower the lights ( they had numerous overhead lights on) as it was quite bright and not very relaxing. We are happy they are here and wish them much success.